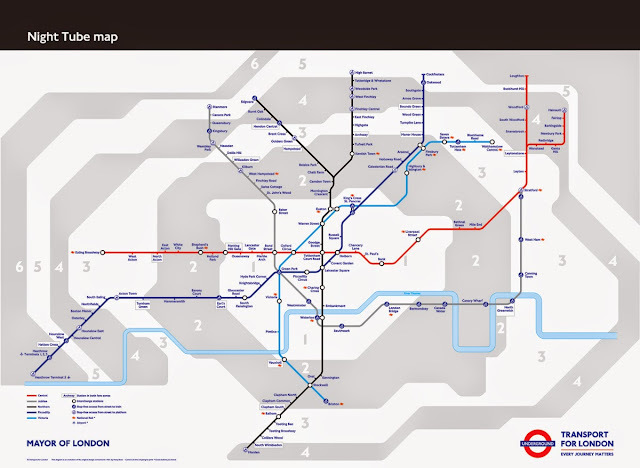 From the early hours of Saturday 12 September 2015, Londoners and visitors to the Capital will be able to travel on the Jubilee, Victoria and most of the Piccadilly, Central and Northern Tube lines all night on Fridays and Saturdays. We also hope to expand across other lines in subsequent years. The Night Tube network will support London's vibrant night-time economy and boost businesses, jobs and leisure opportunities. It will also support and help maintain London's status as a vibrant and exciting place to live, work and visit. The frequency of the Night Tube service may vary by line and by branch, but on average there will be a train every 10 minutes or less. There is no plan to charge different fares and every station on the Night Tube network will be visibly staffed when trains are running. The exact routes served are shown in the map on this page. All stations shown will be served, subject to engineering works. The new service will complement existing 24-hour and night bus services. Additionally, by 2017 night services could operate on London Overground services and by 2021 on the Docklands Light Railway. Night Tube services will also be expanded to the Metropolitan, Circle, District, and Hammersmith and City lines once our modernisation programmes are complete. When designing the Night Tube network, we considered where there's likely to be the highest demand for overnight travel, informed by the existing Night bus network usage figures on Friday and Saturday nights. There are no plans to reduce or withdraw Night bus routes due to Night Tube, although service frequencies may change to reflect customer demand. We are sensitive to the potential of additional noise and disturbance created by Night Tube. However, we do expect this disturbance to be limited. We will carry out a thorough assessment of noise issues before the introduction of Night Tube, and will undertake works to improve the condition of the track. 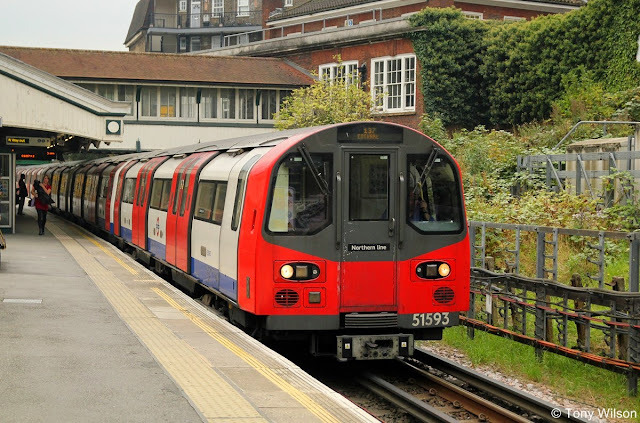 Once Night Tube is operational, we will of course continue to work with residents to investigate any issues regarding noise, and look at action needed to help resolve the situation. We will also continue to deliver upgrade and maintenance work, and when possible we plan to do this overnight between Sunday and Thursday on the Night Tube lines. The safety of our customers and staff is our highest priority. We are working closely with the British Transport Police to ensure that the deployment of existing or extra overnight staff best supports the overnight operation of London Underground. Volterra has been commissioned by Transport for London (TfL) and London First to assess the impact of the Night Tube service on London's night-time economy. Since 2003, there has been a 50% increase in demand for Tube services after 21:00 on Saturday evenings. The service will open up London's night-time economy to a whole host of new opportunities, altering the way that people behave and the way that businesses choose to operate. It will support and help maintain London's status as a vibrant and exciting place to live, work and visit. This would all contribute towards a more vibrant night-time economy in London, with a greater range of uses and a wider demographic, and help to retain London's attractiveness to visitors, residents and businesses.